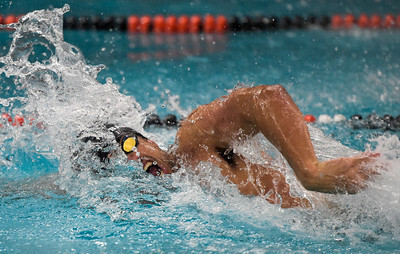 Omid Babakhani of the Cary-Grove co-op swim team dives into the pool as the lead off leg of the 200 yard freestyle relay McHenry on Thursday, Feb. 2, 2017. Omid Babakhani, right, talks with Cary-Grove co-op swim team Head Coach Scott Lattyak during a meet at McHenry West on Thursday, Feb. 2, 2017. 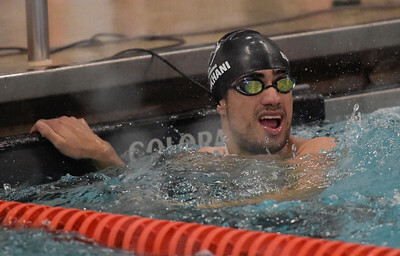 Omid Babakhani of the Cary-Grove co-op swim team looks at his split time for the his leg of the 400-yard freestyle relay on Thursday, Feb. 2, 2017. 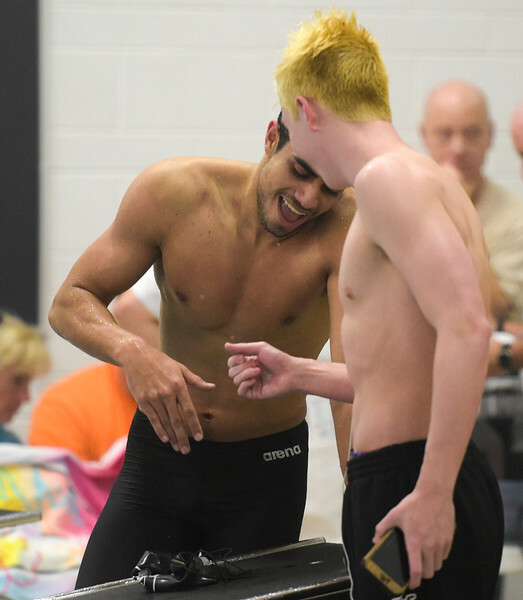 Omid Babakhani congratulates teammate Noah Bengston(cq) during a dual swim meet at McHenry West on Thursday, Feb. 2, 2017. The Trojan's won 118.5 over McHenry' s 50.5 points. Omid Babakhani of Cary-Grove co-op swim team swims in the 200 yard freestyle relay on Thursday, Feb. 2, 2017.